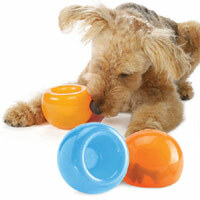 Orbee-Tuff Mazee is a dog treat ball with a difference. 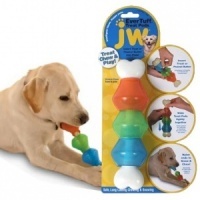 No more clunking, smashing and bashing of the toy around your house. 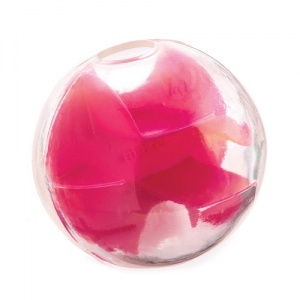 Mazee is soft, surprisingly squashy and lots of fun. 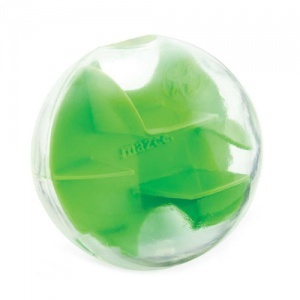 The clear, soft Orbee-Tuff outer shell of the treat ball is mint scented for extra irresistibility. 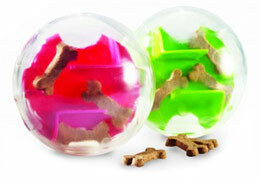 Inside is a unique harder inner maze which stops any treat you put in from falling straight out. 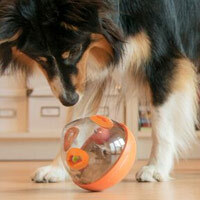 Your dog will have to nudge and roll the toy about to get the treats out. This interactive puzzle is ingenious. 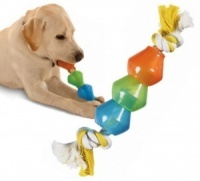 Your dog will love the hours of long-lasting, brain-stimulating play. You will love having them entertained in a quiet and safe way. 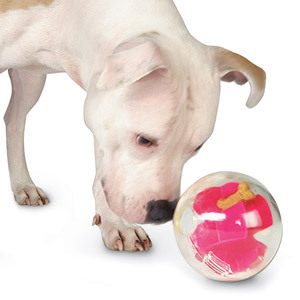 The clear outer ball means your dog can not only smell and hear the treats inside, they can see them too, making them feel extra motivated to solve the puzzle. Clearly engaging, clearly rewarding, clearly fun. 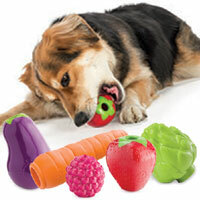 Simply pop in some treats and let your dog go for it! Non-toxic and recyclable. Guaranteed to excite. Suitable for all dogs. Was disappointed when it arrived as had small flaw in the material. Although it was very expensive I decided to keep it as felt that puppy teeth would cause their own damage. So far no further damage has been caused and the puppy loves it. The large hole allows treats to come out perhaps a bit too easily now she is bigger but she still gets excited with it.